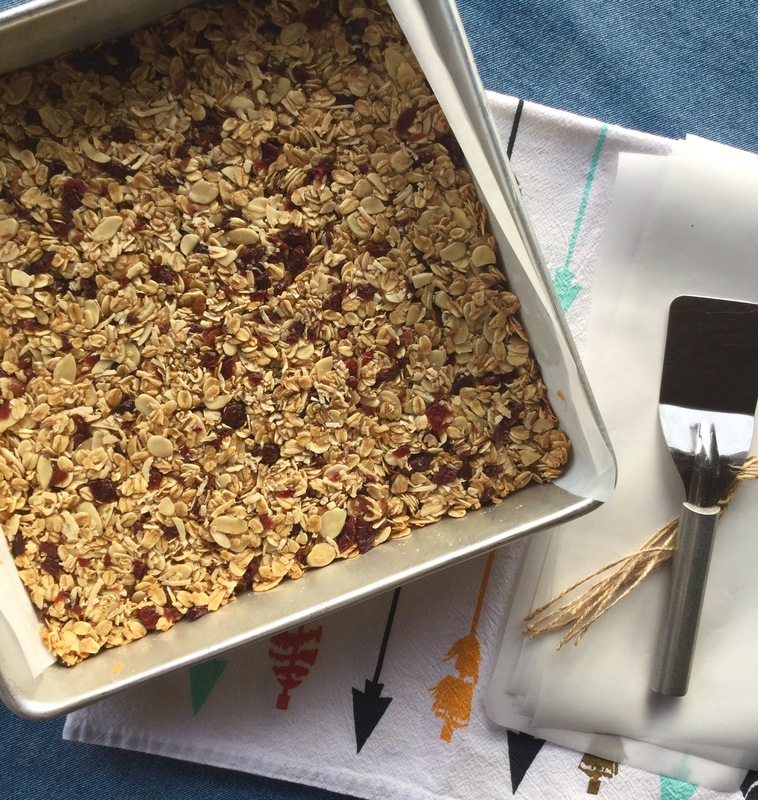 Granola bars are the perfect quick breakfast to just grab and head out the door. They’re also super easy to give to kids for a healthy afternoon snack. But my only problem with store bought granola bars is that after an hour of eating them…..I’m hungry again! 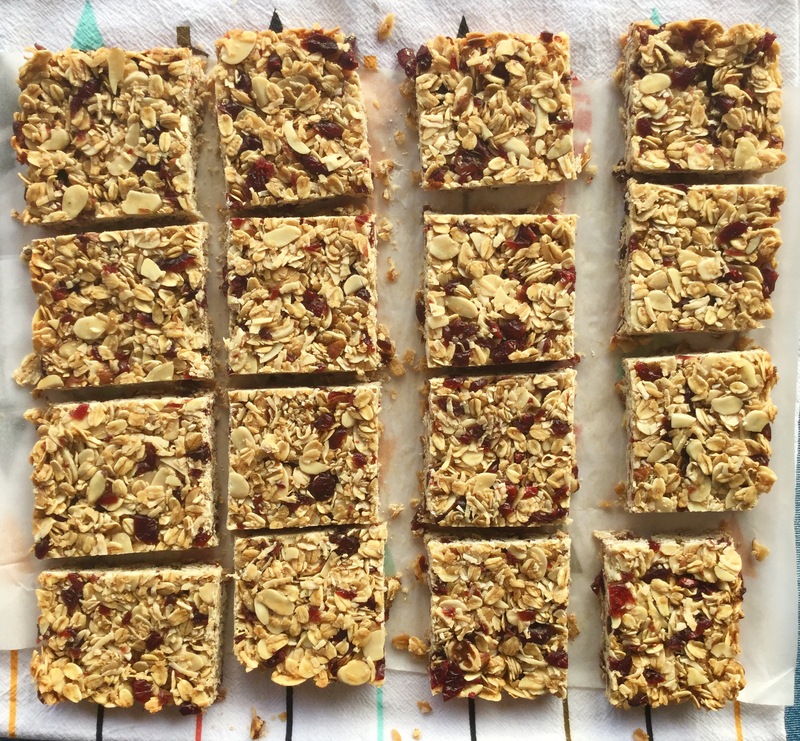 I wanted an easy to make + satisfying + healthy homemade granola bar. The ingredients are simple. They are probably ingredients you already have in your pantry. And, most importantly, they are satisfying…finally. They’re great to have before you work out, which is the way I prefer, but if you like to have a post-work out snack, this is an excellent go- to. I also like these for breakfast with a cup of coffee, it will keep me full for almost three hours….a miracle. I wrapped some of these bars up for my friends to try out. I cut strips of parchment paper and tied them up with a little twine. They all loved them! One is a runner, and said she enjoyed it for a pre-workout snack. It also kept her full for a good two hours. If you’re looking for a good, healthy snack, or a quick breakfast, I’ve got you covered! 2)To store…. I placed cut up bars in a plastic bag and stored at room temperature. 3)If you want to cut back on the sugar, omit the brown sugar and add 2 Tablespoons of water. 4)These bars must be room temperature before cutting. I wait two-three hours before cutting. Or you could make them at night and allow them to cool overnight. They will cut easily and hold their shape. 5)I cannot stress enough how important it is to line your pan with parchment paper. These are sticky! They will stick to the pan if you don’t spray it with non- stick cooking spray and line the bottom with parchment paper. Preheat oven to 300 degrees F. Spray a 10-inch square pan with non-stick cooking spray and line the bottom of the pan with parchment paper. In a large skillet over medium heat, toast the old-fashioned oats, sliced almonds, and coconut for about 5 minutes. It will smell fragrant and nutty once it’s toasted. Place in a large mixing bowl. In a saucepan bring the coconut oil, honey, and dark brown sugar to a boil. Cook for about a minute, stirring with a wooden spoon, then remove from the heat, add vanilla & salt. Pour over the oat mixture and stir well. Stir in chopped, dried cranberries. Pour mixture ﻿into prepared pan and press into the pan using the back of your spoon (I used a wooden spoon). Bake for 25 minutes. Place on a cooling rack to cool completely. Once cooled, remove from the pan and cut into 12 bars. 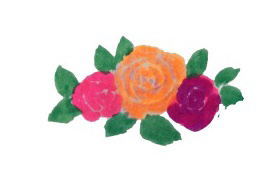 Store in a plastic bag at room temperature or wrap individually in parchment paper. Enjoy ! Thanks for sharing this recipe! I’ve been thinking about going on the elimination diet to test out what foods I’m allergic to (I would have to eliminate nuts) so I’m so glad I found this amazing substitute for energy bars!